Going On Vacation? Home Security Tips To Make Your Home More Secure. If you are planning to go on vacation, the last thing you want to have to worry about is whether or not your home is secure. Thankfully, there are a few simple things you can do. By keeping in mind a few tips to make sure your home remains secure while you’re on vacation, you can relax, and focus on more important matters. No matter where you plan to go for your vacation, you shouldn’t have to worry about things. Otherwise, what is the point in even going on vacation in the first place? A vacation is something you should be able to enjoy. The whole purpose of going on vacation to begin with is to relax and unwind. 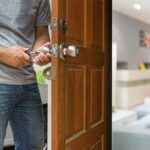 In order to make sure you actually get to do that, keep in mind these simple home security tips to keep your home secure while you are away. Not quite sure? 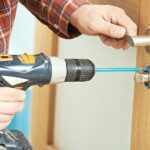 You can always hire a locksmith to help you. Go through your property, and make up a list of things you think you need to secure. This is a great way to ensure that you cover the major things. Along the way, you will probably find a few things you didn’t necessarily expect to find. Consider having someone pet sit or even house sit: If you have trusted friend or family member who is willing to stay at your home while you are away, you may want to consider asking them to assume the role of house sitter or pet sitter. This is a nice way to know without question that your home is being taken care of, while at the same time, making sure that your home is also being protected. Make sure as well to give all the information they will need to run things while you are away. Have newspaper and mail delivery temporarily halted: When newspapers and mail build up in your mailbox, you’re sending a clear sign to intruders that your home is easy pickings. Have a temporary hold put on your mail and/or newspapers. If you can’t get a house or pet sitter…: If you can’t have someone actually stay at your house for a little while, then at least make sure someone can stop by every day or two to pull fliers away from your door, or just check up on things. Having someone to care for your lawn or take out your trash is a good way to give off the impression that someone is still living in your home. Next time that you go on vacation consider this list of home security tips. Just be sure to start thinking about it a week or so in advance to insure that you have enough time to get it all checked out. Did you like this article? Great! Read all of our other blog posts here. Introducing Cedar Park Texas’ premium quality locksmith company. 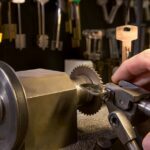 With an extensive staff of some of the most highly trained locksmiths in the community and an exceptional track record for helping the people of Cedar Park you can trust that your next locksmith service will be beyond industry standards. A commercial locksmith explains the importance of CCTV installation. 11612 Running Brush Ln, Austin, TX 78717.